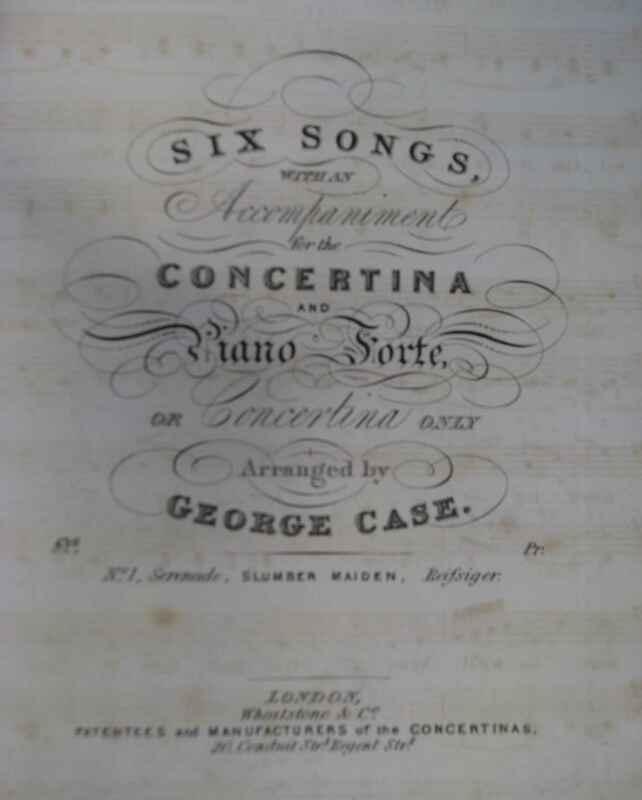 Full Description: A fine and large leather bound volume of many early Victorian concertina sheet music pieces, arranged by a wide range of well-known players and teachers (Warren, Lygon, Sedgwick, Richard Blagrove, Gödbé, etc) and published by Wheatstones, Joseph Scates, W Blagrove, George Case, and by well known London Instrument dealers. 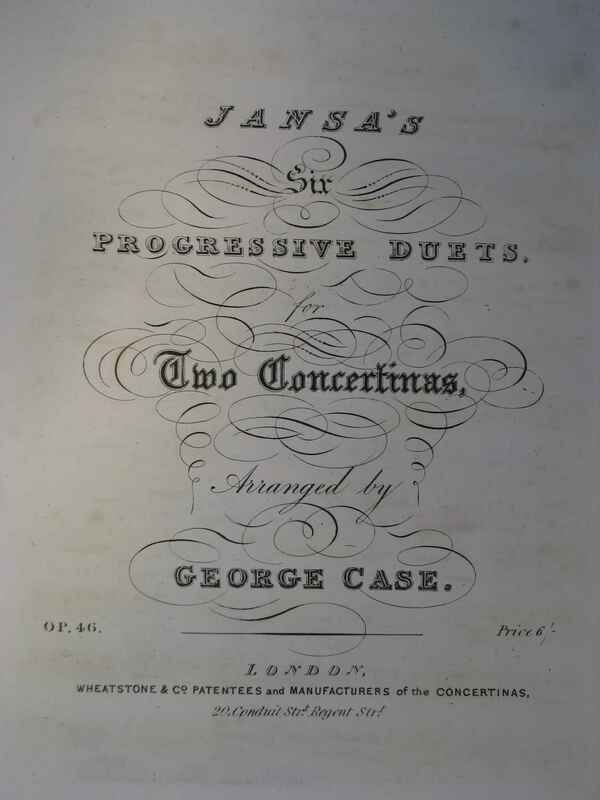 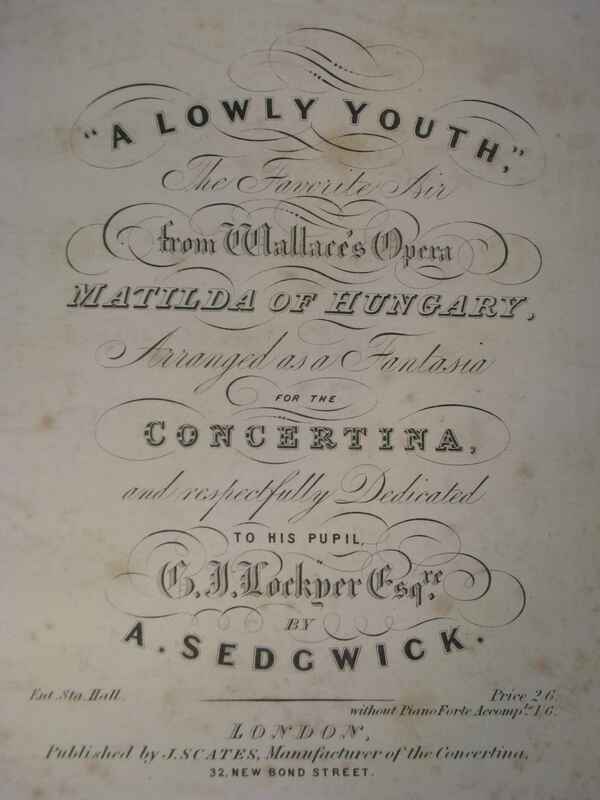 Gödbé demonstrated Charles Wheatstone’s Symphonium in his May 1830 Discourse at the Royal Institution, London, and another of his compositions "The Parting" (publ: Keith, Prowse) appears in the Collection’s 1815-30 period Volume of music, Item NC.5.3.1-003 . 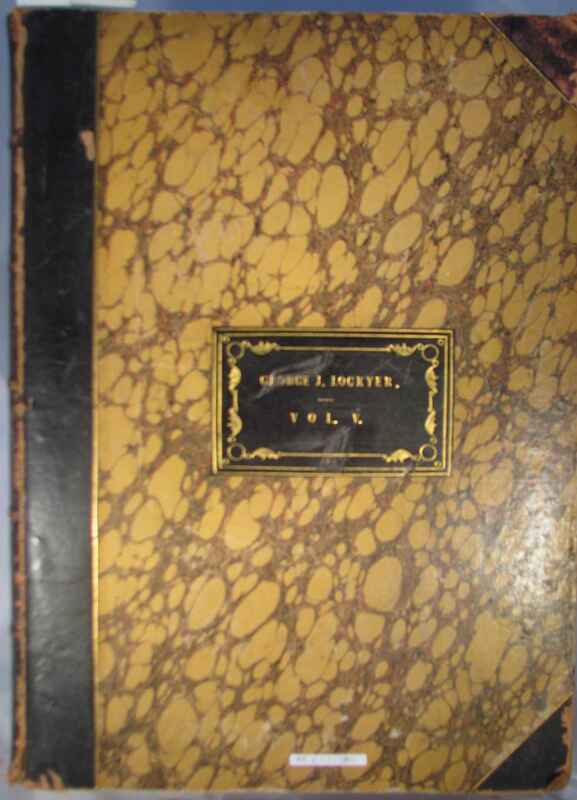 The Lockyer volume (255 x 350mm) has a leather bound spine, gilt-embossed "Music Vol 5", and a leather nameplate to the front, gilt-embossed "George J Lockyer Vol V". 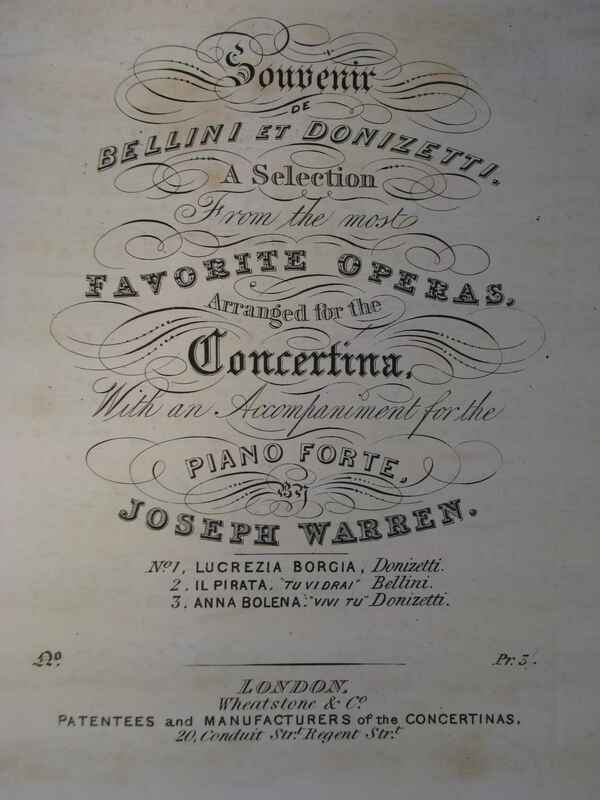 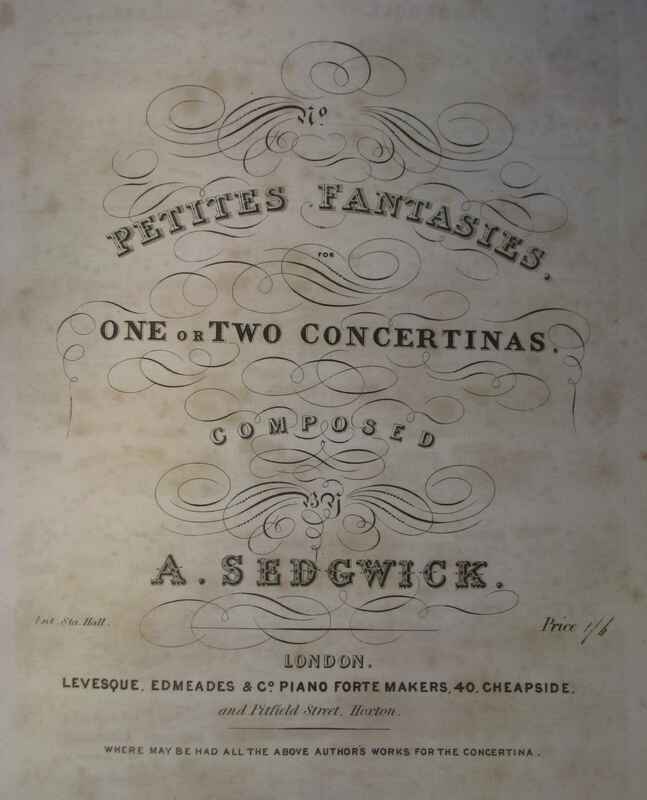 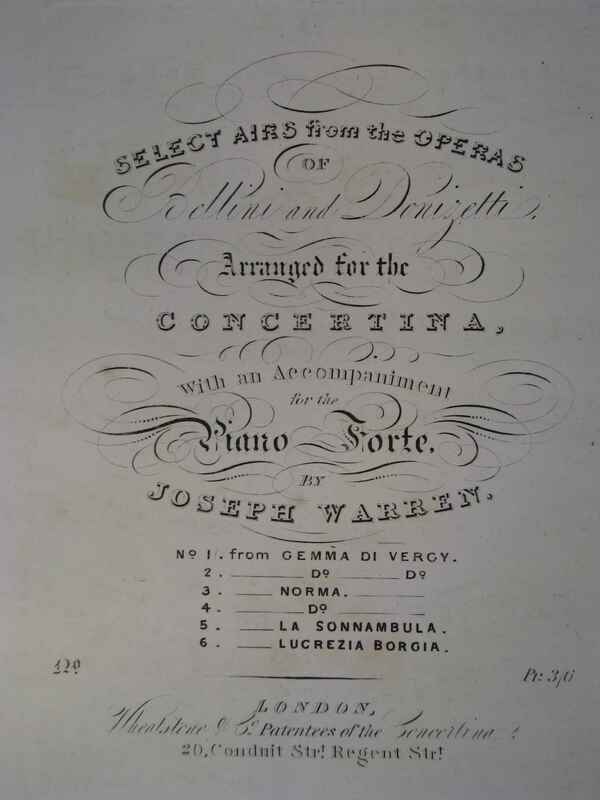 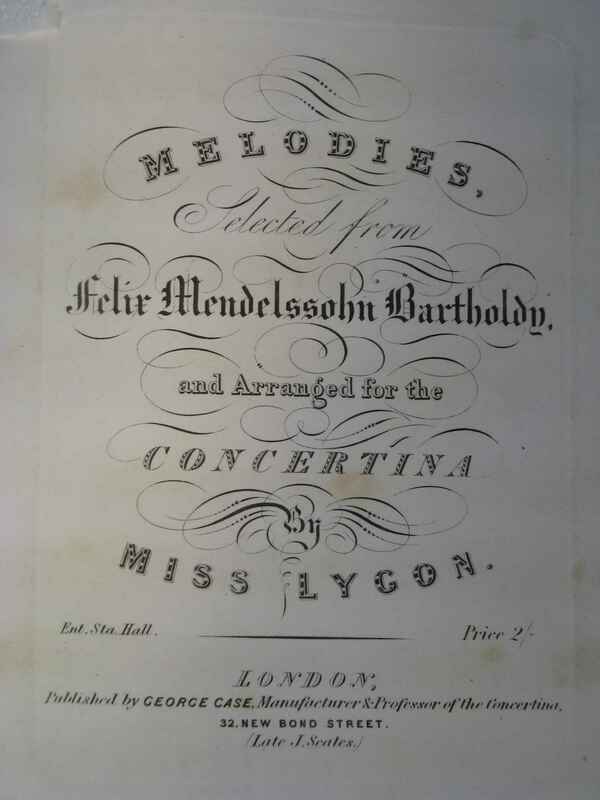 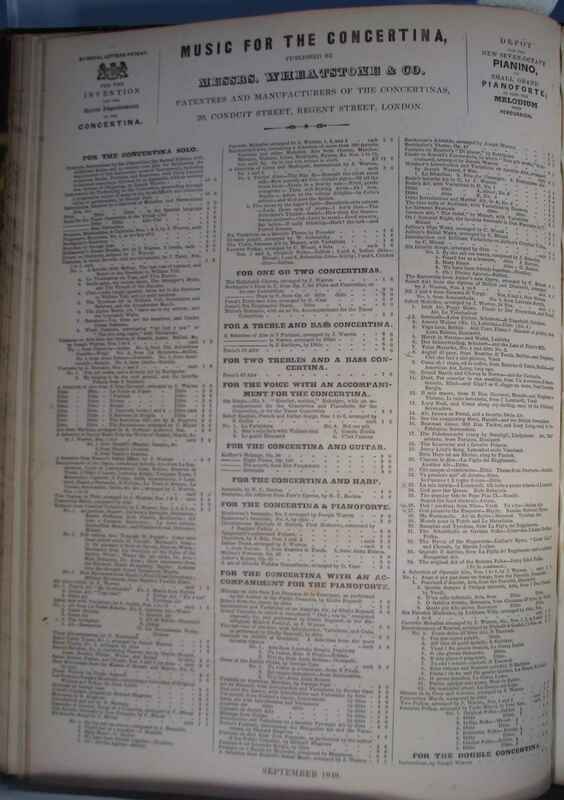 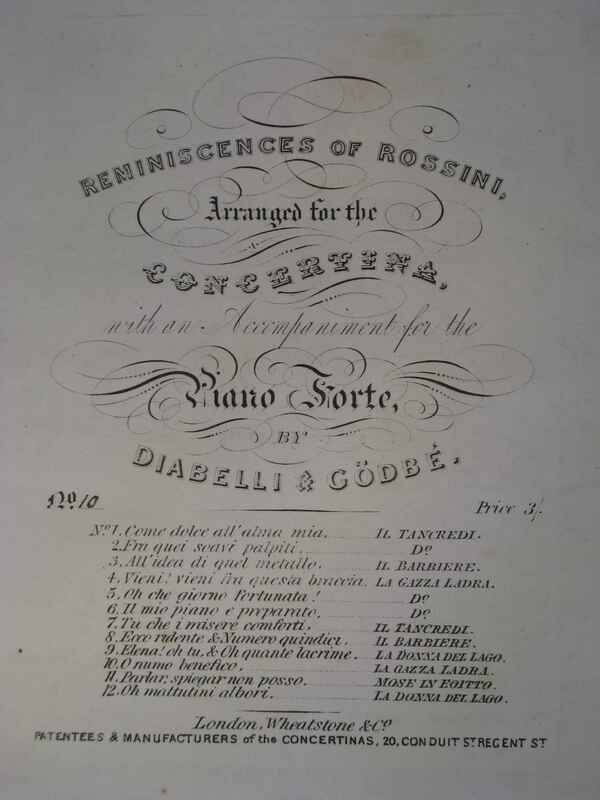 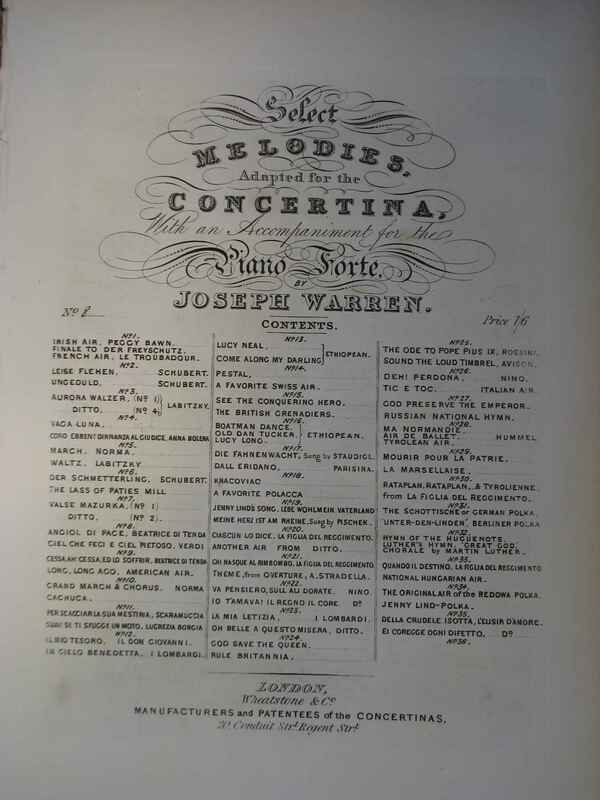 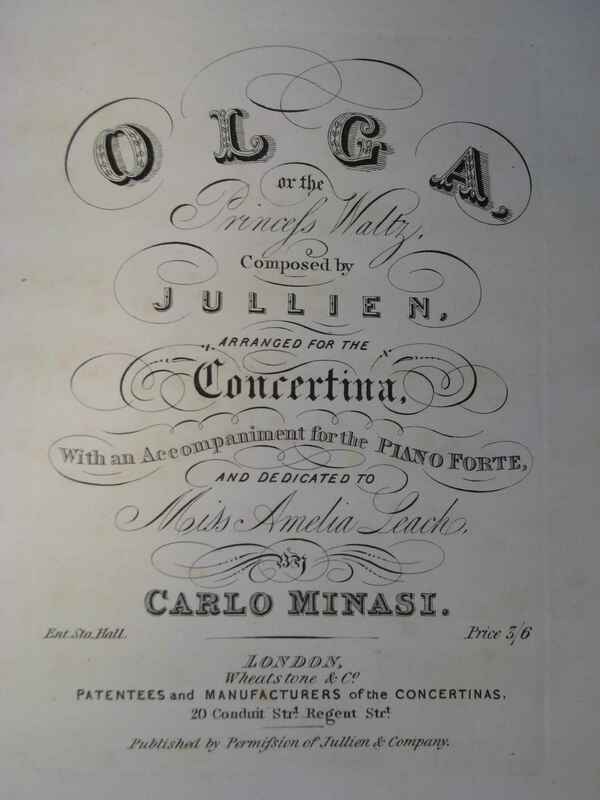 We attach images of frontispieces of several of the pieces having relevance to the concertina trade. 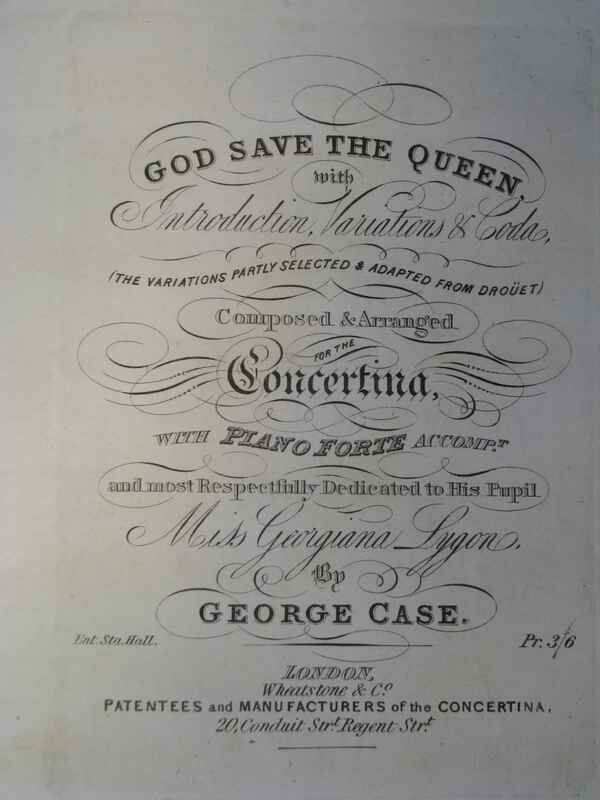 A George G Lockyer appears in genealogical records as born in 1852 and living in Brixton in 1871, and a George G Lockyer as born in 1838, and living in St Pancras in 1851 - the music matches THIS George Lockyer’s period details more closely.